Hey everyone! Today I have two polishes from the gorgeous Models Own Sweet Shop collection* to show you: Rhubard and Custard* and Pear Drops*. I was actually sent three, the other being Liquorice Allsorts*, but I have a complete intolerance to liquorice for some reason, and the smell was just making me feel ill, so I decided to leave it. From the one nail I did manage to paint, I'd say 2 easy coats would be enough for opacity if you're okay with the smell of liquorice. 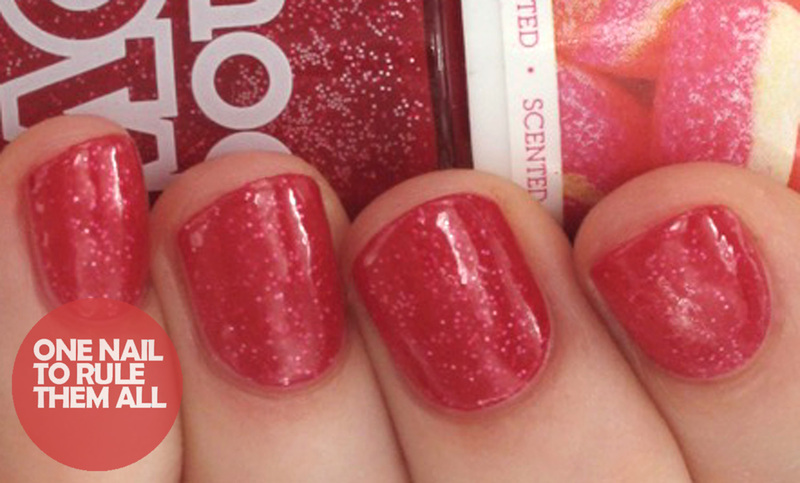 Pear Drops* is a gorgeous orange glittery shimmer polish. This was 2 very easy coats. Models Own polishes tend to be quite thick and hard to manage sometimes, but this wasn't like that at all. This will be in my monthly favourites for sure (spoilers). This was without topcoat, and you really don't need one, it's very shiny and smooth without, it also smells great once dry. 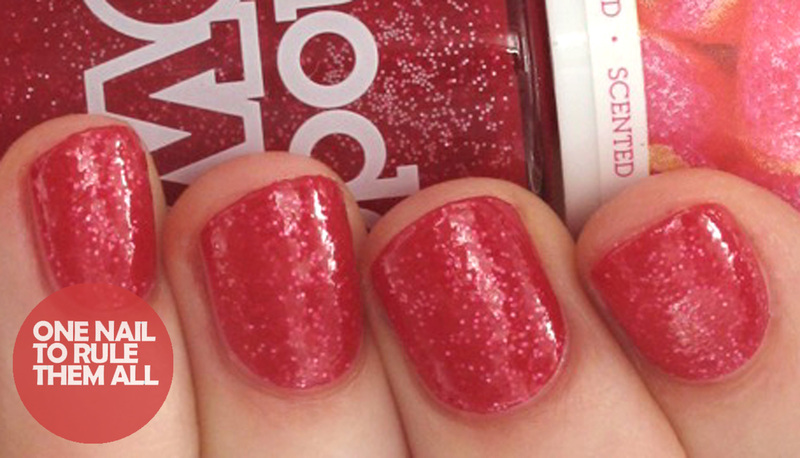 Rhubarb and Custard* is a lovely red glitter, the glitter pieces are a lot more prominent in this so you will most likely need topcoat. Below is first without topcoat and then with topcoat, sorry about the quality of these 2 pictures, don't know what happened! This was 2 coats, it's slightly thicker like Models Own polish normally is, but still manageable. Overall I love these two polishes, it's a shame that I couldn't manage the Liquorice Allsorts polish but I really do get ill from it usually and I didn't want to risk it. 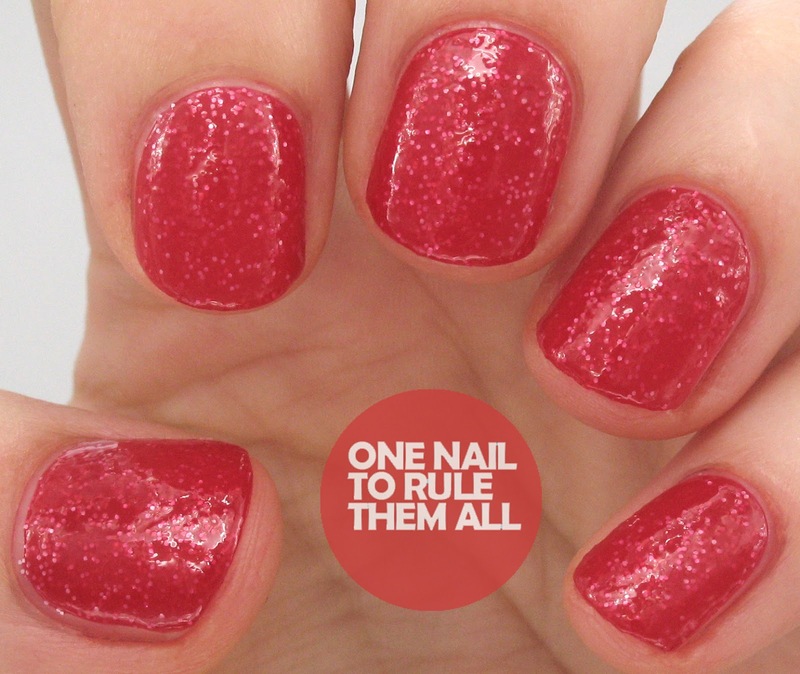 There is one more glitter in this range 'Cola Bottles' and then 2 regular polishes: Liquorice Allsorts, and Gumballs, all can be found and bought here now for £5 each.